Thila Laxshman may be best known for her singing prowess or even her days as a leading actress, producer, master of ceremonies and trainer in the Malaysian Indian entertainment industry. Yet, being actively involved in community service and being an advocate for children with autism is by far her most important role, she says. Thila’s own son, Danvi Laxshman Siva Kumar, now a 19 year old student at the IMC Centre, was diagnosed with autism at the tender age of three, which spurred her interest in advocating for autism, a testament to the strength and depth of a mother’s love for all. She is the President of PERSAMA-2gether4autism, a non-profit association dedicated to providing help to B40 families affected by autism spectrum disorders. As World Autism Awareness Month starts today, April 2, 2019, Thila shares her personal journey with autism for our Good News readers. Here are some of the highlights from her interview. 2.What is Autism Spectrum Disorder? 3.At what age did you realise that your son was autistic? 4.Were there any early ‘warning’ signs of autism noticeable in your son? 5.What was your immediate reaction to the diagnosis? 6.How important is early intervention? 7.As a parent of an autistic child, how has your son’s condition impacted your relationship as a family? 8.Tell us about your purpose for establishing PERSAMA. 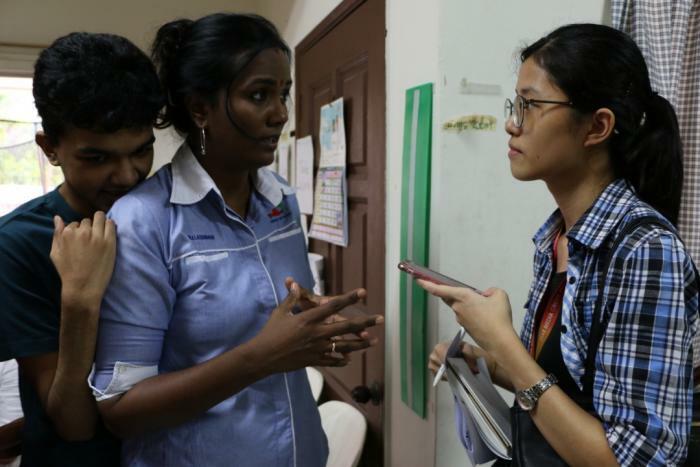 While Malaysia is “still a work in progress on treatment and awareness”, Thila said her “life is different because I now have a different way of seeing things” and she is grateful to everyone who assisted her family when in need. “Danvi has gone from very low on social skills to acing a ping pong game! As an extremely gifted boy, but yet socially delayed, my hope is that Danvi always continues to have the support that he has now. With April being Autism Awareness month, I feel that it’s my job to be a voice for Autism families”.